A design that truly shines! 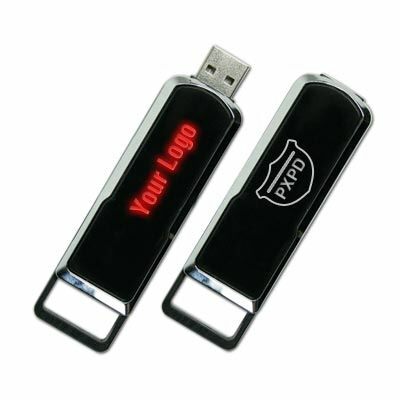 The Shelter Slider promotional USB drive illuminates the device with an LED light when connected. 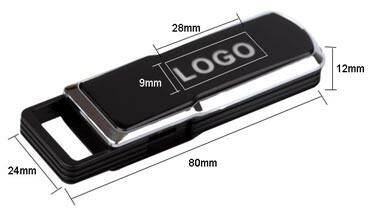 The engraved logo actually allows the light to show through and make the imprint stand out to the customer, making it an excellent choice for a branded flash drive. The cap-less design lets the connector retract into body when not in use, keeping things simple to store and safe from damage. Logo light up colors come in white, blue and red. With the Shelter Slider, you can slide into better sales numbers next quarter. This promotional flash drive works to keep your potential customers interested and invested in your company. It comes in a wide range of storage capacities and utilizes a retractable slide design to protect and access the connector port. Your logo becomes the indicator light! Customers love this feature because it shows your company is professional and willing to invest in good freebies. Logo will be engraved and comes in three colors.